As a wide variety of trans-themed shows take London and Edinburgh by storm, writers and performers tell Tom Wicker about the ways trans theatre is becoming more visible and questioning the cisgendered mainstream. Palmisciano is now something of a role model himself. The actor, who began transitioning from female to male in 2013, recently finished playing Jack in Rikki Beadle-Blair’s new romantic comedy, Summer in London, at Theatre Royal Stratford East. It was developed in conversation with – and starred – an all-trans cast. Trans visibility on stage has increased in recent years. Trans actor Griffyn Gilligan attributes this “to the greater political visibility that’s happened in the past five years or so. And I think a lot of that comes from the accessibility of the internet in more rural places,” enabling young trans people to find each other earlier than before and to question their lack of representation. 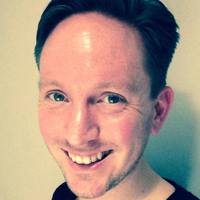 Last month, Jon Brittain’s Olivier award-winning Rotterdam – about transitioning while in a relationship – ended a West End run; a trans character (played by Gilligan) had a prominent role in Taylor Mac’s Hir at the Bush Theatre; and National Theatre of Scotland’s Eve/Adam, at this year’s Edinburgh Fringe, follows two people in transition. On stage, he continues, audiences “get to see those characters portrayed as real people, with the same worries as everyone else.” He relishes the opportunity for dialogue this creates. “We’re the next big thing – we’re ‘it’,” jokes trans writer and performer Kate O’Donnell. She created 2015’s autobiographical Big Girl’s Blouse and this year is bringing You’ve Changed to the Edinburgh Festival Fringe. You’ve Changed is a co-production between Contact Theatre and Trans Creative, which O’Donnell – as founding artistic director – launched earlier this year. Over three years, the Manchester-based, trans-led theatre company will receive £134,528 from Arts Council England’s diversity-focused Elevate fund. 201’s contemporary hip-hop ensemble returns with Skin: a boy’s journey through gender transition. One year after transgender man Kit receives his first injection of testosterone he enters a male gym changing room for the first time. Diversity and access are key to reflecting a modern society. With funds such as Elevate and a greater focus on regional work, ACE is making advances – Trans Creative’s funding was specifically to promote work in the north. 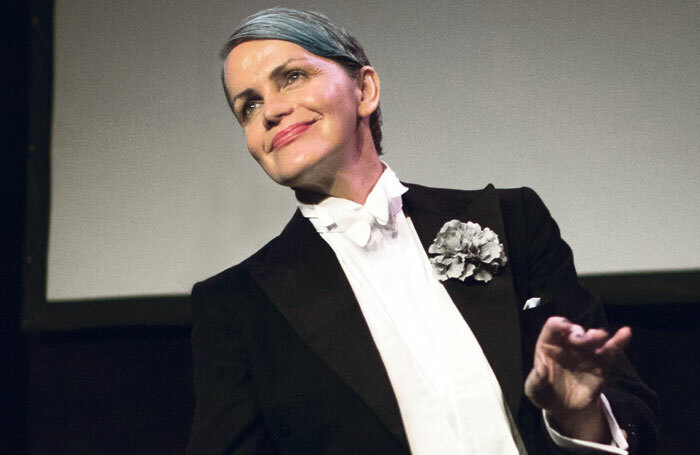 O’Donnell established Trans Creative to provide positive representations of trans people – countering tokenistic or negative stereotypes – and to give other trans artists a platform. When many trans narratives are still being written and performed by cisgendered (non-trans) people, she says, “trans stories, told by a trans person in a live setting, have a massive impact”. A plurality of voices, stories and types of work is important in this context, because – of course – the experience of being (and living as) trans, non-binary or gender-fluid differs greatly from one person to another. It can also depend on economic or ethnic background. 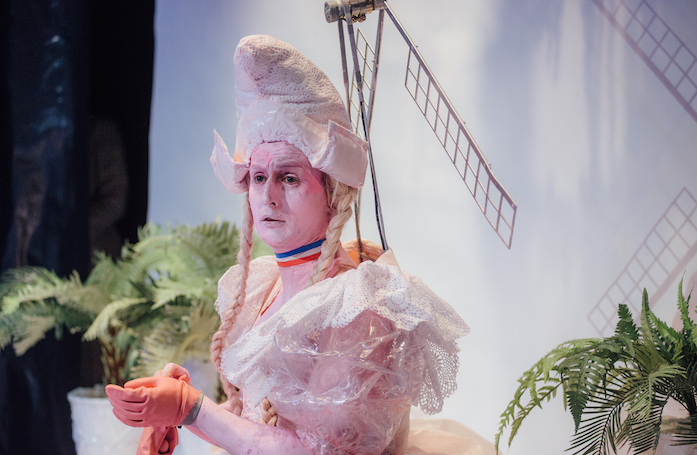 Theatre company Milk Presents explores identity and gender in a multilayered, diverse way. Gilligan praises the company’s “beautiful dramaturgy, which is really mindful of how those multiplicities of identity come through”. Its latest show, Bullish, uses Greek mythology to do so. 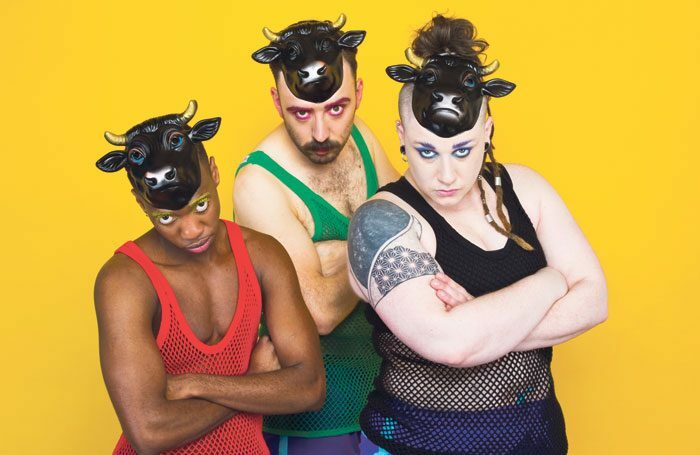 Bullish is a commission by Camden People’s Theatre in London, and will headline its Come As You Are festival in September. Over three weeks, theatre companies and artists will explore a variety of trans, non-binary and gender-queer issues on stage. Trans-inclusivity is also about the language used in the work and the environment of a theatre itself. “If you haven’t done the research to see what terms people are using about themselves, it’s hard for people to want to come to a venue, let alone imagine themselves on stage there.” says Gilligan. Advising on these issues, Gilligan credits venues such as CPT and the Bush for their “enthusiasm and willingness to reach out and have those conversations”. For example, CPT now has a gender inclusive policy and action plan that addresses toilet signage and asking visiting companies ahead of time about preferred pronouns. Industry-wide education is key to building on these positive steps – from looking at how agents categorise their clients online, to raising casting directors’ awareness of the number of trans actors out there, to ensuring that drama schools are trans-inclusive spaces. In summer 2015, trans charity Gendered Intelligence teamed up with the Royal Central School of Speech and Drama to offer a transgender acting course. Ash Palmisciano, who went, recalls it as “a fantastic experience” and “really confidence-building”. He got to meet other trans actors, connect with casting agents, and left with a renewed drive for acting. Palmisciano cites a shocking statistic from a recent report by LGBT charity Stonewall that more than two in five young trans people have tried to take their own life. He sees theatre as crucial to changing this picture.